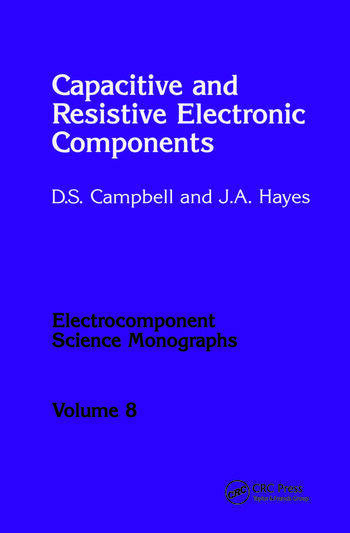 This text, though primarily concerned with the properties and structure of resistors and capacitors, also provides a comprehensive general introduction to the electronic properties of materials used in the manufacture of electronic components. Coverage includes the band theory of materials and the conduction mechanisms in metals, dielectrics and other structures. The manufacture, structure and properties of fixed and variable resistors and capacitors are discussed in detail. Also included are non-linear components such as NTC and PTC thermistors, strain gauges, pressure transducers, varistors and sensors. The text concludes with a chapter on the quality and reliability of electronic devices with practical values of field reliability performance quoted.